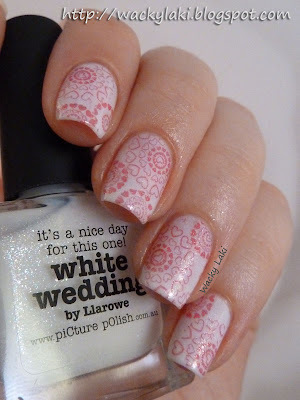 The base of this manicure is piCture pOlish White Wedding stamped with piCture pOlish Dorothy. Dorothy is actually a "mesh" polish with lots of silver glitter. 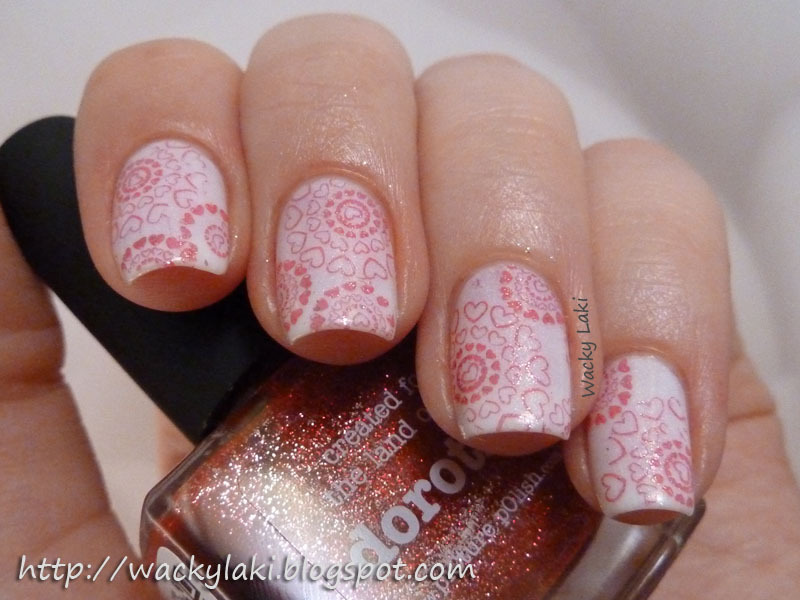 None of the glitter transferred for stamping, but it didn't stop the strong red base from coming across. This is probably the only time I will stamp with it since it is such a waste of the pretty glitter, but I had to try at least once. 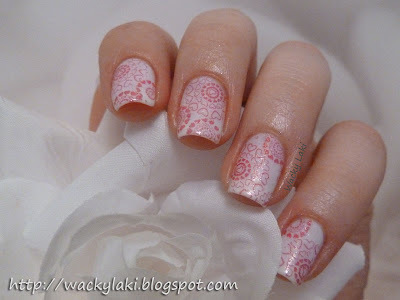 For the stamp, I used Bundle Monster plate BM-317 from their newest collection. I absolutely adore this pattern. It is so delicate and romantic and every little detail transfers so well to the nail. This is actually the second time I'm using this stamp, but have not had a chance to post the first manicure yet, so that's coming up soon. That's really pretty! 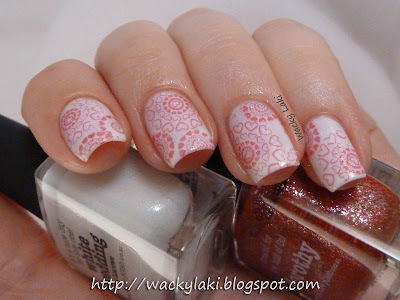 From a far it looks to me like the stamping is done with lihgter and darker polish. The filled hearts look darker. Really cool effect! So pretty!! Very light and feminine! This manicure was a very good idea Anutka!! This is sooo beautiful!Honestly, you set the romantic scene so well.. I'm surprised the red stamped so well... 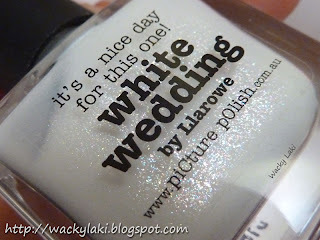 I need to get a little bit more adventurous with the shades I choose to stamp with (not just white and black). I love this manicure! it's absolutely gorgeous! That's such a beautiful combination!